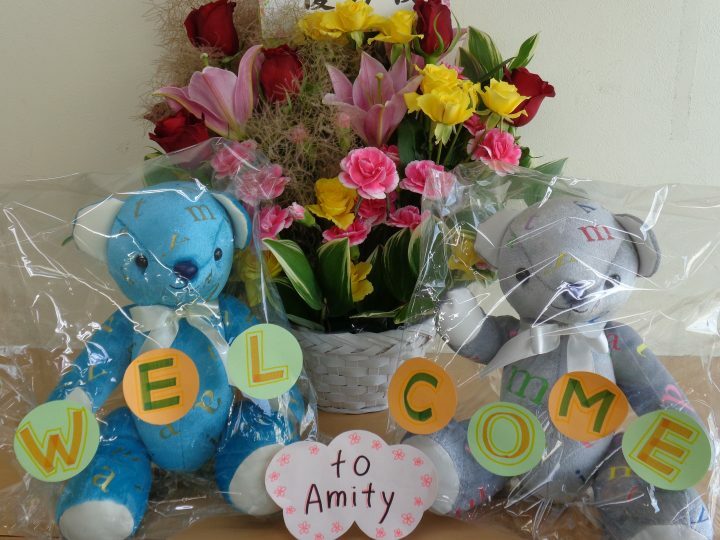 Saitama Kita Omiya Amity is an English conversation school, specializing in teaching children. Many of our students commute from the Kita and Omiya districts and as well as from the Ageo and Kasukabe areas. By train, we are located near Kita Omiya Station, just one stop on the Tobu Noda line. By bus, we are 10 minutes towards Ageo, and about a minute walk from the bus stop. The East Exit must be taken in both cases. There are 3 native English teachers available at the school who specialize in teaching conversation and interactive lessons, while our 4 Japanese teachers excel in teaching conversation, grammar, and interactive lessons. They are also able to help prepare students for English tests such as Eiken and TOEIC. There are 230 students at our school. They enjoy studying English! You will be surprised to see how good they are! The native English teacher's apartment is nearby. It's only a few minutes on foot. There are two convenience stores nearby where you can get almost anything you want. They all enjoy the lesson with native teachers. This is Junior high student's lesson. They always enjoy talking with our foreign teachers.